The Bridge double bed is a bed consisting of a headboard with two large padded cushions which, besides being a main element, are combined with a storage unit base of large capacity but with limited external volumes. 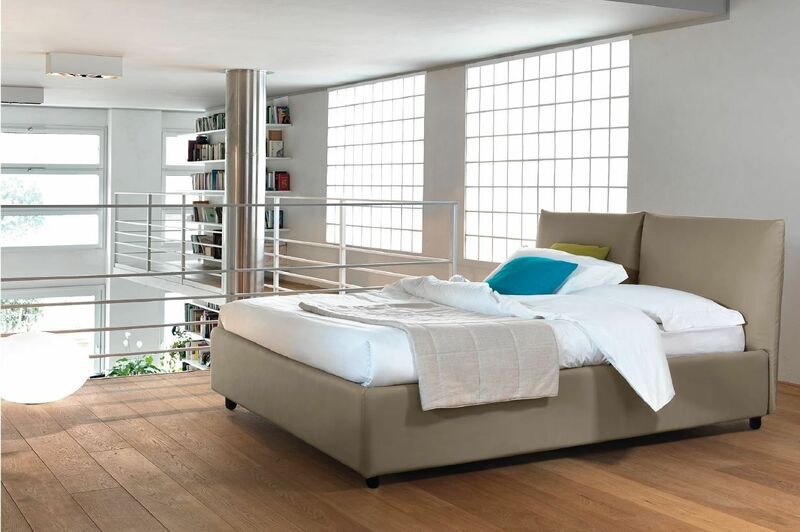 Bridge interprets the bed in a contemporary key, combining design simplicity and large padded surfaces. The version with the Box Plus is characterized by a solid structure which connects the headboard, the side bands and the footboard, making the storage compartment extremely sturdy. The single and queen-size versions have a single cushion. Contact us for more information or to receive a supply of this product in your store! Search Mollyflex store near you!